Poseidon was an installation that was designed in direct response to Storefront’s unique architectural form. The long triangular shape of the gallery suggested to the artist the relative increase in scale of a projected image over distance. 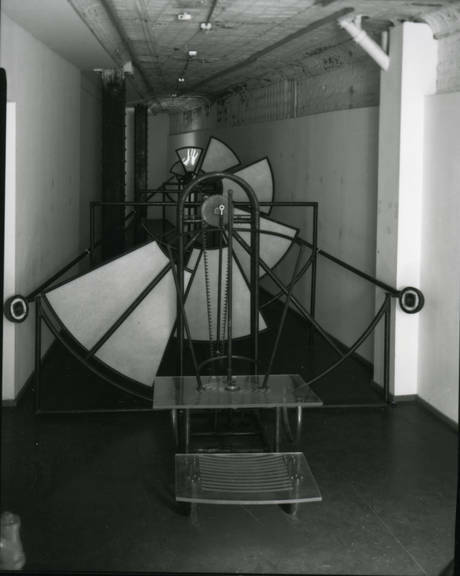 The installation included a series of works referred to by Steve Barry as “mechanical performances” that remained static until the presence of an individual was detected. The arrival of a visitor triggered a sequence of mechanical movements, cinematic images, and audio effects.